Friday Focus is a quick digest of news and notes for members of the Indianapolis Public Library Shared System. The article title caught my eye: Grazing, Looping, and Skimming: Understanding Students’ Digital Habits. The study defines student users as grazers, loopers and skimmers, and l'efficient and puts them into a developmental context. There are concrete suggestions for moving students forward in their research skills, too. "One of the most surprising findings of the student contextual inquiry study was that freshman year of college is not students’ most significant research training experience. Rather, it is during freshman year of high school. Students who went through a 9th grade “research boot camp” (their words) reported feeling ready to conduct research at the college level and often became the resources their peers turned to for help." Thanks to a tremendous fundraising effort by Christel House International, Christel House West went from 50 to 832 books almost overnight! Baker & Taylor created an opening day collection cart, stayed in communication during the whole process, and their rep even came to help open the boxes and shelve the new books. If you have never touched a brand new, sparkling clean version of Captain Underpants, it's quite an uplifting experience. School library manager Jackie Phend and I had a great time thinking about all the future readers of the great books on their shelves. If you're ever over on the west side, I know Jackie would love for you to visit. Can't promise Captain Underpants will still be sparkling clean, though. 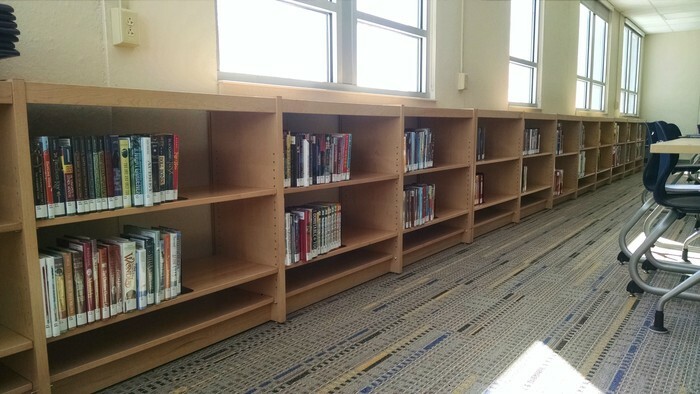 Kathy Authenreith, the school library manager at St. Susanna's in Plainfield (long story from two jobs ago) fills those top shelves that are too high for kids to reach with the school's classroom sets of novels. Each book has a wide green band of tape to set them apart from the regular collection. She lets kids check them out if they want to, and has a couple on her shelves that they can reach. 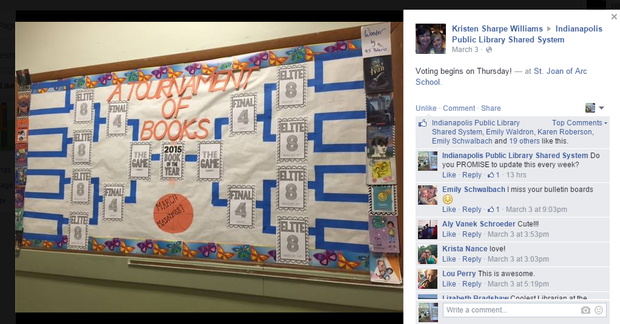 Kathy said the really nice thing is that teachers come in and say "oh, I forgot we had that as a classroom set!" Since the books are now more visible, they're getting a lot more use. Thanks to our Facilities Department for finding this purple dragon destined for the dust pile and offering it to you all. 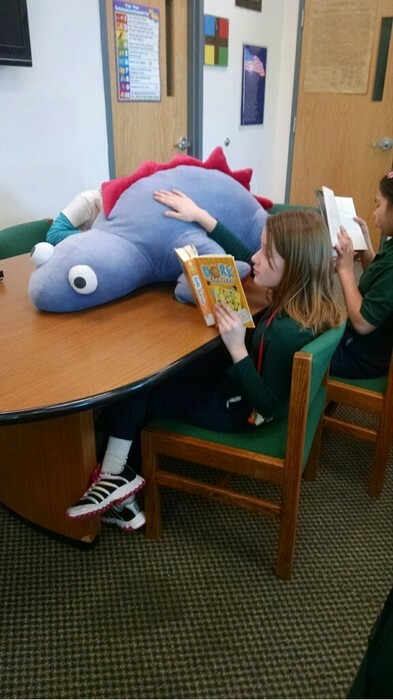 Sarah Lucas at Holy Cross Central brought it home after our last Shared System meeting and says the students there love to read out loud to him. What would you read to a dragon? Cornelia Funke's Dragon Rider, maybe? Or How to Train Your Dragon by Cressida Cowell? So. You're Missing Out on A Good Deal. There are 17 new titles on the GoodReads Available shelf. 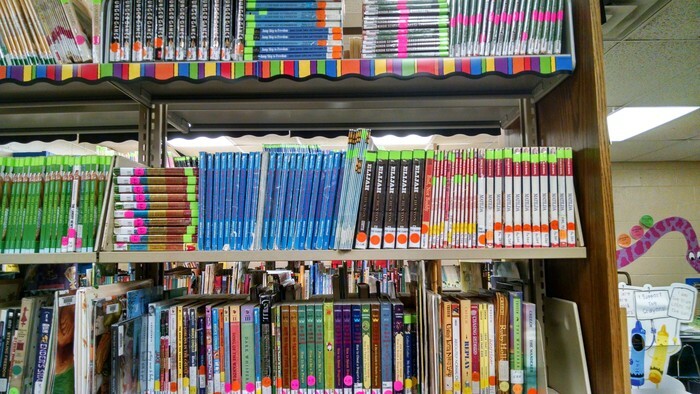 Nine of your school libraries have added 58 free books to your collections this way. Try to make checking the Available shelf part of your Friday afternoon or Monday morning routine! If you forget what this is or how to request a book for your library, please read the instructions in a previous issue of Friday Focus - toward the bottom! The titles added last week that remain next Friday will be removed, so check it out today! You're missing out if you don't! 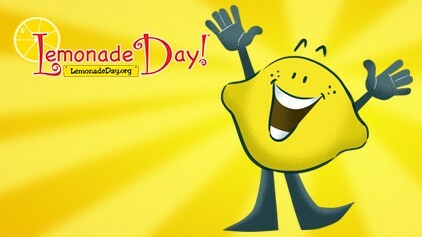 Just a reminder: Online registration for Lemonade Day 2015 begins tomorrow, March 7 at www.Indianapolis.lemonadeday.org. Need help getting ready for Lemonade Day on May 16? Kids can learn the secrets of making great lemonade or how to build a better lemonade stand at two great Library workshops offered at several locations, now through early May. Go to the Library's Events page and search for the word lemonade! 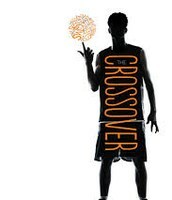 This year's Newbery winner, Crossover, by Kwame Alexander, may help you connect with kids who aren't using your library as much as they used to. Maybe they're too busy with sports, or just can't relate to reading for fun. 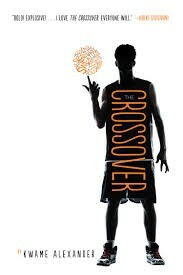 Crossover would be a great read-aloud, a great book talk, or a great "come on back to the library" hand sell to the right reader. Check it out! Check out the teacher's guide for more info. We're invited to read and celebrate The Beautiful Things That Heaven Bears by Ethiopian-American author Dinaw Mengestu from March 11 – April 30 as part of the national campaign, "The Big Read," which is designed to revitalize the role of reading in American culture. 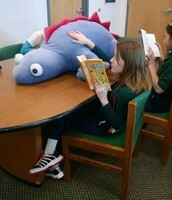 1,000 free copies of the books are going to be distributed as part of The Big Read program. There will be an opening reception with Ethiopian food, coffee and music on Wednesday, March 11th from 6 to 8 p.m. at Central Library. To find out more, check out The Big Read page. 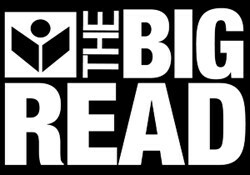 "The Big Read" is a program of the National Endowment for the Arts in partnership with Arts Midwest and is made possible with additional support from The Indianapolis Foundation Library Fund, The International Center, Christel DeHaan Family Foundation, The Indianapolis Foundation, and Friends of the Library through gifts to The Indianapolis Public Library Foundation. To open the informational/operational/social intranet, click here.